Presenting the Sonic OAX-1 Duo! 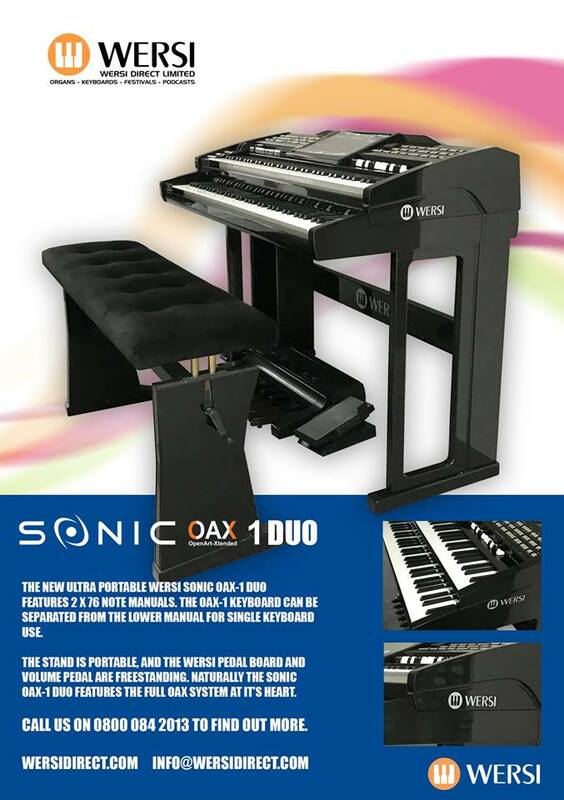 The latest addition to the Sonic family – The Sonic OAX-1 Duo. Featuring 2 x 76 note keyboard manuals, easy to move and light weight stand. Over 1,500 sounds via the OAX software, up to 16 sounds can be used across the keyboard and pedals. Real drums, Styles, new OAX live drums, new ABBA Styles, Sheet Music on display, OX72 and VB3 Drawbars and much more. Pedal board, volume swell and bench all available as optional extras to create a portable WERSI organ. Are the new “Abba” styles going to be available to those who bought bigger more expensive Sonic instruments? They are available to buy not for existing owners and judging by the existing styles on OAX, i wouldnt buy them without hearing them first.